We offer a patented product that has revolutionized the Geothermal world. This single item, the GT FLOW CENTER... made it all possible. From this simple idea arose one of the most remarkable products on the market today. The GT Flow Center is so easy to use that it has been selected for a High School Vocational School teaching program. The patented GT package contains a water vessel with a self-sealing, removable screw-in top, an air-eliminating dip tube on the inlet, a pump protecting check valve on the outlet, pump(s), and ball valves that allow the pump(s) to be removed for service without loss of fluid to the closed loop system. When fluid is circulated through the canister, air is eliminated through the top of the chamber. When the self-sealing top is in place, the top of the chamber acts as an expansion tank. The top remains open until the system is completely filled and purged. Also note that if you are manifolding inside the GT will purge the system. If you plan to manifold outside, you must use a purge cart to clear lines. Because the GT Flow Center is completely packaged at the factory, installation is simple. The system can be mounted on the floor or wall. Simply connect a return line from the earth System to the GT Flow Center. Then connect a supply line from the GT to the heat pump unit. That's all there is to adding reliable pump protection to any closed loop system. 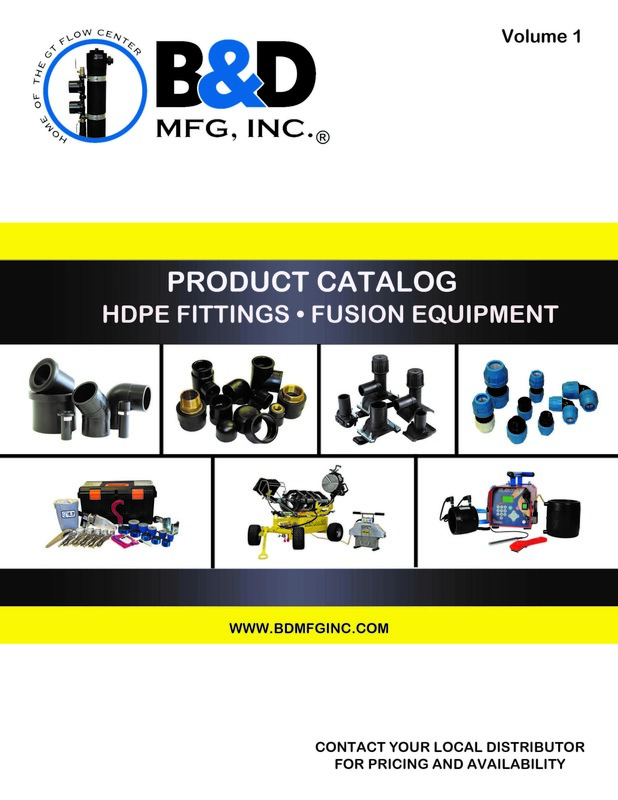 Also available is the Flowmeter Tool (look in accessories), an exclusive B & D Mfg., Inc. service tool which provides a direct reading of system flow rate, eliminating the uncertainty associated with current methods. The non-pressurized GT Flow Center pumping station is unlike other pump protection devices. For instance, the GT Flow Center includes a built-in patented pump protection feature that eliminates the need for a flush cart when filling and flushing a closed-loop system when your manifolds are indoors. And since it is non- pressurized, it allows you to add fluids like anti- freeze or water, while automatically eliminating air from the closed-loop system. As a result of the GT Flow Center being completely packaged at the factory, installation is simple. Just connect the return line from an earth loop to the GT Flow Center, then connect a supply line from the GT to the heat pump unit. Also available is the flow meter tool, an exclusive service tool, which provides a direct reading of system flow rate, and eliminating the uncertainty associated with current methods. A homeowner's initial investment in a water source system is slightly more than that of a conventional system. It's an investment that the homeowner will want to protect.